This is what a million-year-old tooth looks like. Found in the Atapuerca Sierra in Spain, it is now the oldest human part ever recovered in Western Europe. Researcher Jose Maria Bermudez de Castro says the tooth could be as much as 1.2 million years old. 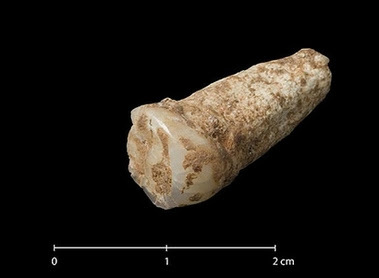 "Now we finally have the anatomical evidence of the hominids that fabricated tools more than one million years ago," said the Atapuerca Foundation. The tooth is thought to have belonged to Homo antecessor, which lived in the area.